Our Deep Dive Field Trips are designed especially for students in grades 8+, and are a chance to dig into ideas and content in hands-on ways that you can’t get anywhere else. These are a great option for AP History, Local History, Civics, and even Science and Engineering classes! Each Deep Dive consists of a specialized 90 minute program and cost $9/student. You can also reserve a Picnic Area for lunch if you’d like. Offered Mondays, April 29 to June 3, excluding May 27, Memorial Day. Programs start at 9:30 am and 12:30 pm. 36 students per 90 min program, 3 stations of 12 each. Interactive and inquiry based, this NEW hands-on tour lets students explore the science hidden in history. Tour three workshops- the Wagon Shop, Blacksmith Shop, and Shoe Shop – as you learn about the biology of leather, the chemistry of metallurgy, and physics of wheels and woodworking. Step into the shoes of an early immigrant to the Wisconsin Territory in 1843.  Students will take on a role of a character, a real person who immigrated to Wisconsin, and explore the primary sources relating to their life. As a group they will face challenges, gets hands on with artifacts, and make connections to current events relating to immigration, citizenship, and community.